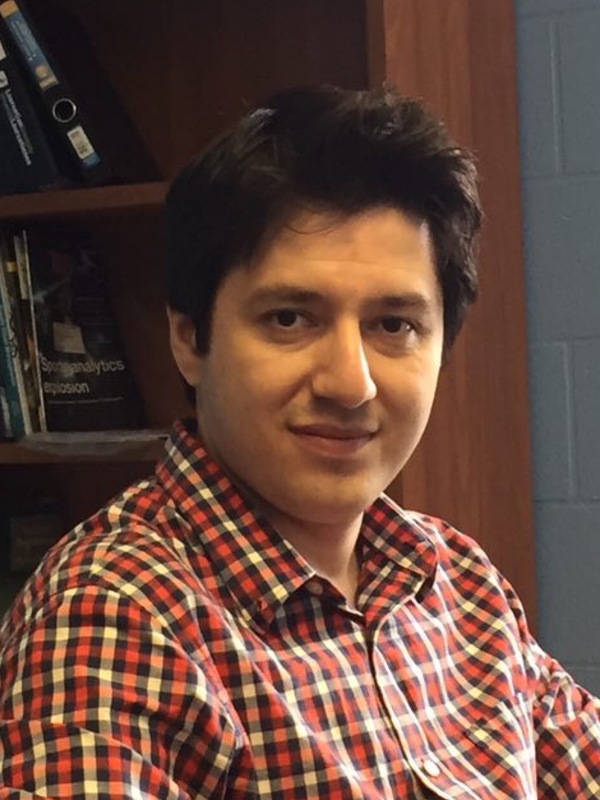 Amirmohsen Golmohammadi is an Assistant Professor in the Department of Finance and Operations at Laurentian University. He received his Ph.D. degree from DeGroote School of Business at McMaster University in Management Science. Also, he received his M.Sc. and B.Sc. degrees in Industrial Engineering. In addition to his background, he has more than three years of professional work experience in Information Technology and Oil and Gas industries. His main research area is in supply chain risk management. In particular, he is interested in application of game theory and stochastic optimization in mitigating supply and demand risks in supply chains. His research has been published in top-tier refereed journals such as European Journal of Operational Research, International Journal of Production Economics and Journal of Operational research Society. Golmohammadi, A., Hassini, E. (2018). Capacity, Pricing and Production under Supply and Demand Uncertainties with an Application in Agriculture. European Journal of Operational Research, Accepted. Golmohammadi, A., Taghavi, M., Farivar, S., Azad, N. (2018). Three Strategies for Engaging a Buyer in Supplier Development Efforts, International Journal of Production Economics, 206 (December), 1-14. Dia, M., Takouda, P.L., Golmohammadi, A. (2018). Efficiency Measurement of Canadian Oil and Gas Companies, International Journal of Operational Research, Accepted. Golmohammadi, A., Hassini, E. (2018). A Two Period Sourcing Model with Demand and Supply Risks. Journal of the Operational Research Society, 69 (7), 1077-1095. Pajoutan, M., Golmohammadi, A., Seifbarghy, M. (2014). CMS Scheduling Problem Considering Material Handling and Routing Flexibility. International Journal of Advanced Manufacturing Technology. 72 (5), 881-893. Jolai, F., Tavakkoli-Moghaddam, R., Golmohammadi, A., Javadi, B. (2012). An Electromagnetismlike Algorithm for Cell Formation and Layout Problem. Expert Systems with Applications, 39 (1), 2172-2182. Golmohammadi, A., Pajoutan, M. (2011). Meta Heuristics for Dependent Portfolio Selection Problem Considering Risk. Expert Systems with Applications, 38 (5), 5642-5649. Golmohammadi, A., Farivar, S., Taghavi, M. (2018) Strategies for Facilitating Supplier Development Programs, Canadian Operational Research Society Annual Conference, Halifax, Nova Scotia. Golmohammadi, A., Tajbakhsh, A., Dia, M., Takouda, P.M. (2018). Aligning Reliability Improvement Strategies in an Assembly System. International Conference of African Federation of Operational Research Societies, Tunis, Tunisia. Dia, M., Takouda, P.M., Golmohammadi, A. (2018). Benchmarking Canadian Oil and Gas Companies. International Conference of African Federation of Operational Research Societies, Tunis, Tunisia. Golmohammadi, A., Tajbakhsh, A., Dia, M., Takouda, P.M. (2018). Reliability Eﬀort Management in a Decentralized Assembly System. Proceedings of the ASAC 2018 Conference, Toronto, Ontario. Dia, M., Takouda, P.M., Golmohammadi, A. (2018). Benchmarking of Canadian Oil and Gas Companies. Proceedings of the ASAC 2018 Conference, Toronto, Ontario. Golmohammadi, A., Hassini, E. (2017) Coordination on Improvement of the Supplier: The Role of the Buyer on Managing Investment, 21st Conference of the International Federation of Operational Research Societies, Quebec City, Quebec. Golmohammadi, A., Hassini, E. (2015) Optimal Capacity, Pricing and Production Policies under Supply and Demand Uncertainties, Manufacturing and Service Operations Management Society Annual Meeting, Toronto, Ontario. Golmohammadi, A., Hassini, E. (2014) Lot-Sizing and Pricing Under Random Supply and Demand, INFORMS Annual Meeting, San Francisco, California. Golmohammadi, A., Hassini, E. (2014) Sourcing Under Demand and Supply Risks in Two Periods with Correlated Yield, Manufacturing and Service Operations Management Society Annual Meeting, Seattle, Washington. Golmohammadi, A., Hassini, E. (2014) Multi-Period Pricing and Sourcing in an Agricultural Supply Chain, Canadian Operational Research Society Annual Conference, Ottawa, Ontario. Golmohammadi, A., Hassini, E. (2012) Two Period Lot Sizing Problem with Dependent Production Quantity Under Uncertain Yield and Demand, Canadian Operational Research Society Annual Conference, Niagara Falls, Ontario. Golmohammadi, A., Hariga, M., Ben-Daya, M., Hassini, E. (2011) VMI in a Multi-Buyer Single-Vendor Supply Chain with Lot Sizing and Sequencing Considerations, Canadian Operational Research Society Annual Conference, St.John’s, Newfoundland. Golmohammadi, A., Ghodsi, R. (2009) Applying an Integer Electromagnetism-Like Algorithm to Solve the Cellular Manufacturing Scheduling Problem with an Integrated Approach. In Computers and Industrial Engineering (CIE 2009), International Conference on p. 34-39. IEEE.